In today’s fast-paced society, not everyone has time to read a long article or several web pages about a non-profit organization. Often, they’re looking for fast, easily understandable, and enjoyable content to get the information they need. At Dreamscape Marketing, we not only deliver competitive SEO and website design, but we also have the non-profit media production skills your organization needs to stand above the rest. Photography offers a wealth of information about your organization. Photos can convey the tone, mission, and emotion of your non-profit organization to a visitor in seconds. These photos will also leave lasting impressions on individuals who visit your site. They also serve as lasting representations of your organization. Furthermore, having unique photos helps your organization stand out against others. Instead of using stock photos that can be found on several other websites, having Dreamscape Marketing’s digital media production team creates unique photos for you will make your website one-of-a-kind. Furthermore, these photos create an energy on your website that can emphasize what you have to say in your content. If you want to take your non-profit media production to the next level, videos can offer another realm of possibility. Videos give you and your team the opportunity to speak directly to your audience. You can learn a lot from written content, but you often miss out on the tone, emotion, and impact that the spoken word has. Through video production, you can capture the unique stories of individuals who received help from your organization. Or, they can highlight the fantastic impact your non-profit organization made in a community. 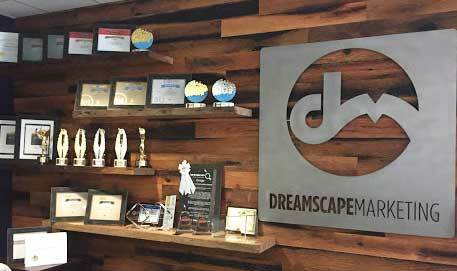 When you work with the Dreamscape Marketing digital media production team, we’ll work with you to understand your vision for the project. Then, our team will develop a storyboard for your approval before we begin filming. This way, your voice is present in every step of the production process. In addition to traditional video and photography, we also offer innovative drone and 3D technology. If you have a facility or headquarters you’d like to show off in a virtual tour, then we have the cutting-edge 3D technology to help you do that. This way, visitors to your site will have an exact understanding of what you have to offer. 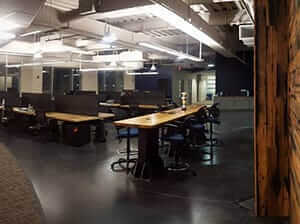 Show your clients the beauty of your organization and facility with our help. The non-profit media production capabilities that Dreamscape Marketing offers are at the forefront of the digital marketing industry. In combination with our SEO for non-profits and non-profit website design expertise, your website will have a unique flair that not many other sites can boast. When you’re ready to take your non-profit organization’s online presence to the next level, call the team at Dreamscape Marketing at 877-958-9180. Let us help spread the word about your organization.